The Etios series, built on the same assembly line along with the World’s No.1 sedan – Corolla Altis. Developed with equal amount of passion, dedication and precision, the Toyota Etios is backed by Toyota’s legendary Quality, Durability and Reliability. The car made its world debut in India in 2010 as “World first India first”. Etios was shaped to meet unique requirements of Indian customer, essentially the need for of larger cabin and luggage space, high fuel economy and lowest ownership cost. An extremely skillful team of engineer’s team in India has the complete ownership to continuously upgrade the Etios. The local team engages with customers in India and acts on their feedback to add new features that suit the Indian palate. As a result, The New Platinum Etios is an outcome of feedback from our valuable customers”. Toyota Kirloskar Motor known for its safety emphasis has constantly worked towards developing better technology to provide enhanced safety. 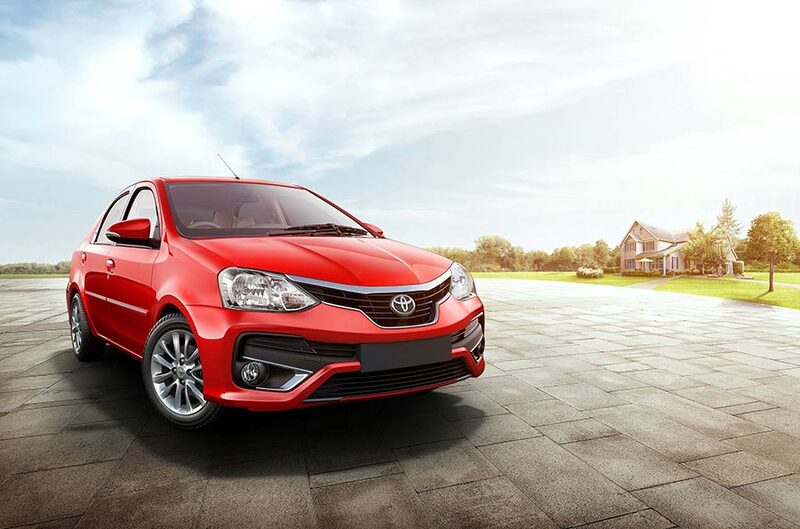 Toyota’s thinking of “Safety first” is clearly visible in the New Platinum Etios and New Etios Liva. Etios family was first in its segment to standardize Air bags in driver and passenger side. Along with refreshing new features and enhanced appeal, the all new Etios and Liva have been crafted with a vision to refurbish Toyota’s safety commitment with superior safety attributes considering the importance of human life. With the The New Platinum Etios & Liva Toyota becomes the first in the industry to standardize Anti-Lock Braking System (ABS) with Electronic Brake-force Distribution (EBD) across all Toyota models & in all grades. New ISOFIX child seat locks for all models & all grades has been added to ensure safety of children. Etios has always being a promising offering from Toyota Kirloskar especially in the fleet segment because of its low ownership and low running cost. 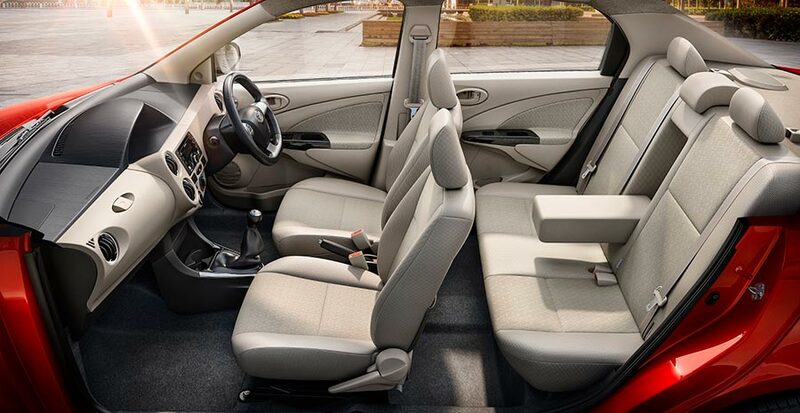 With its plush new interiors and bold exterior design, the new Etios is designed to largely attract personal customers with enhanced comfort features pushing the boundaries of traveling experiences. The team at Toyota Kirloskar Motor has taken an affirmative measure in differentiating the physical attributes of the vehicle for both personal and fleet customers aligning with the global standards of Toyota’s QDR. These new additions to the vehicle are not mere features but innovative engineering concepts that are aimed at flattering personal customers. We are delighted to present to you ”The New Platinum Etios” with best safety features, bold design and enhanced looks. It has been our endeavor to constantly innovate and upgrade our products based on changing customer preferences and regular feedback. This philosophy of continuous improvement has helped build a solid base of more than 3,30,000 happy customers, in India. Etios was the first in segment to standardize dual SRS airbags across all grades and has recently secured 4 star ratings in the GNCAP assessment. With this new launch we are further reinstating our safety commitment by standardizing the Anti-Lock Braking System (ABS) with Electronic Brake-force Distribution (EBD) in all our models across all grades which is the first in the industry. This step will strengthen our position as safety thought leaders. We believe that our loyal customers will appreciate the new product with the superior styling and added premium-ness that has been incorporated keeping pace with evolving customer needs. With Pre Tensioner and Force Limiter (PTFL) for front seats.